Nationality Park is situated in the south of Jinghong City, it used to be an litchi orchard. 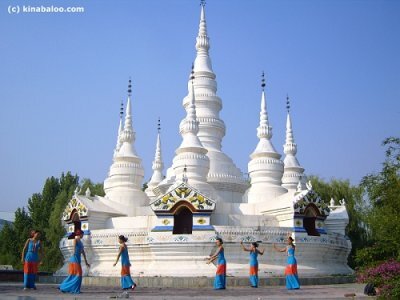 This park concentrates on the ethnic customs of 6 major nationalities in Xishuangbanna. They are Dai, Aini, Lahu, Bulang, Yao and Jinuo. In museums of them, you will find out how their traditional life is going. Find more The Nationalities Park images in the gallery of Photorena.